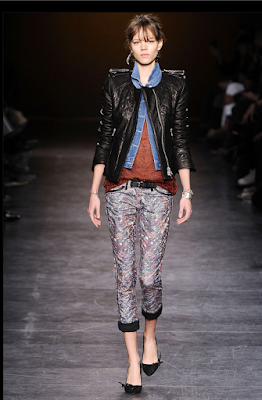 The cult French designer, Isabel Marant has had her own collection since 1995. 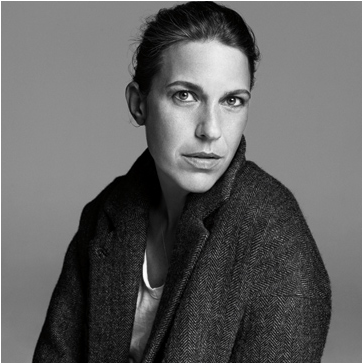 With two stores in Paris, next month she opens the first US store in New York's Soho. Coincidentally or not her Parisian cool attitude has an American 50's spin for fall. Marant's secondary line Étoile - French for 'star' - has all the bohemian cool of her namesake line, with kinder, gentler prices. Available in San Francisco at Metier and newly so at Barneys. No great photos of Étoile published so RUN to Barneys or Metier because it is RUNNING OUT THE DOOR. I love Isabel Marant...just so hard to get....even in Europe! Nice to meet you! Thanks for your comment and your blog is great! As far as Isabel, with desire greater than supply it keeps her cult status. Very smart. Love her. Love Anne Valerie Hash, as well. Elizabeth Charles on Fillmore street is supposed to be carrying Marant, I was just having this conversation with them last week. Nida on Hayes carries Isabel Marant Etoile, and I've been buying Vanessa Bruno from them for years! Thanks Erin and Victoria. 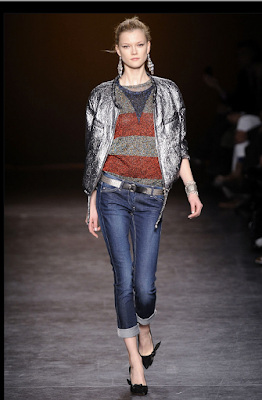 Two more places for San Franciscans to get Isabel Marant! Barneys is supposed to start carrying her signature collection for Fall.